Jane's Walk is an annual festival of free, citizen-led walking conversations inspired by Jane Jacobs. On the first weekend of May every year, Jane's Walk festivals take place in hundreds of cities around the world. Jane's Walks encourage people to share stories about their neighbourhoods and discover unseen aspects of their communities. Celebrating Jane's ideas and principles, we encourage walking together to create connections between creativity and community, to engage experiences as both observers and participants, and for shared reflection, questioning, and re-imagining. 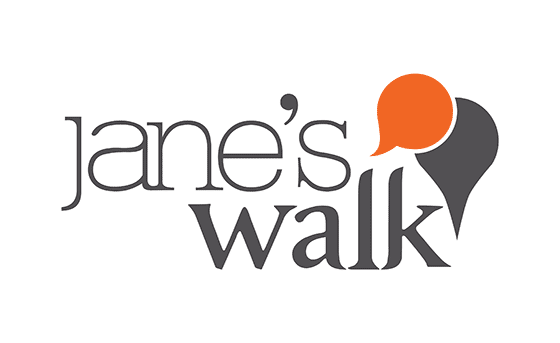 Jane's Walk Winnipeg 2019 is seeking new walks! Do you know the hidden shortcuts in your neighbourhood? An unknown history that makes your area unique? A favorite stroll that makes you feel alive? Do you know the perfect spot to catch a sunset, or the street that has the best trees? Wherever your walks lead, we hope you'll consider sharing them. There's no need for formal training, an elaborate script, or detailed historical knowledge - just two feet, a heartbeat, and the gift of a new perspective. Fill out our form, which allows you to clearly explain the intent of your walk. We believe that walking together is a powerful tool for community change, and we hope that you'll take part if you're able. Sign up to lead a walk in your community. 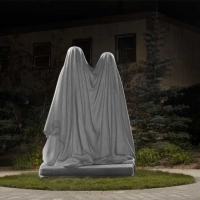 Join us for a walk through St. Boniface, where we will look at old and new public works to discuss the meaning of, and difference between, public art, monuments, and memorials. We will walk 1 km through a farm field restored to a willow wetland and enter 800 meters of grassland and aspen forest that used to be a grain field but that is returning to its more natural state. Based on the Chartres labyrinth in France 11 circles will eventually lead you on a pilgrimage to the Centre. 2 years ago we used an electronic talking stick (microphone) to give all participants the opportunity to share with the group why NATURE in the CITY is important to them. Be prepared to walk into the Centre and to walk all the way out without short cuts! A 1 km walk through the bush to the HARTE Trail will follow where we will discover and explore 1 acre of park that was added to a 4 acre park to preserve original 300 year old Big Bluestem tall grass prairie. What a hidden treasure! 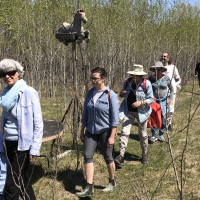 We recommend walkers park cars on Hofsted or Charleswood Rd beside the HARTE Trail and meander down to 1018 Charleswood Rd to view over 180 Gufflewarfs of folk art statues along a 300 foot farm driveway while waiting for other walkers to arrive .The walk will finish with a short trip to the Van Roon Prairie Garden Park site along the Harte Trail of the Great Trail (TransCanada Trai) and back to Charleswood Rd and Hofsted. (Or is a short walk from the end point on the Harte Trail to the Charleswood bus at Rannock Ave or a nice bike ride home along the Harte Trail! Highlights of the walk include 188 hidden animal statues in the labyrinth and hopefully lots more real birds and animals and deer (and a few wood ticks!). We will walk through the Heritage habitats of willow wetland, grassland and oak and aspen forest. We will have the opportunity to share our visions for preserving nature and habitat corridors within an urban setting. 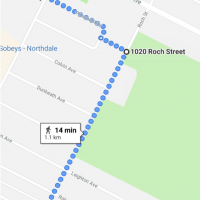 This is a self-guided walking tour to ten different art studios in the South Osborne neighbourhood. At each stop you will have the opportunity to see inside a working artist's studio, learn how the work is created, and to ask any questions about the artist's process or inspirations. In its eighth year, the South Osborne Art Crawl draws visitors from all parts of the city. 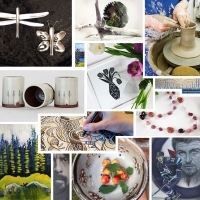 The artists involved work in a diverse set of mediums: ceramics, jewellery, painting, photography, sculpture, glass, and more. This walk is intended to showcase the breadth of artistic talent in this wonderful, walkable neighbourhood. All locations are within walking distance of one another. A map of all locations can be found at http://275days.com/soag or on our Facebook page, South Osborne Arts Group. To see us in action, watch this three-and-a-half-minute video. 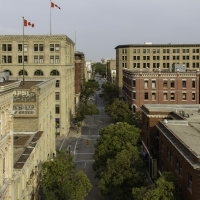 Explore the heyday of Winnipeg's garment district, which was a thriving industrial hub throughout the mid-20th century. See the warehouses of Jacob & Crowley, Stobart & Sons, National Cloak, and the Sterling Stall Company and learn about their impact on the historic Exchange District. A tour of the Costume Museum of Canada workrooms will follow, with artifacts and clothing from Winnipeg’s Garment District as well as items from the exhibit A Stitch in Time! This tour is a collaboration between the Exchange District BIZ, The Costume Museum of Canada, and the Jewish Heritage Centre of Western Canada. The Costume Museum of Canada is not wheelchair accessible. Note: You must pre-register for this walk and it is limited to 15 people. You must be 18 years of age or older. The Bear Clan Patrol provides a sense of safety, solidarity and belonging to both its members and to the communities we serve. We have committed to a non-violent, non-threatening, non-judgmental and supportive approach to relationship building and reconciliation. We've been patrolling in West Broadway for about a year, distributing food, clothing, hygiene products, water, and various other donations, checking in on vulnerable people, removing items of concern from the street, and providing a visible presence in the neighbourhood. We welcome you to join us to see what we do, with a reminder that you must register beforehand. Please wear appropriate footwear and dress for the weather, come early for some orientation before we head out at 6 PM. I'll walk around the outside perimeter of the park - starting at Portage and Canora - and give a history of the park and the houses surrounding it.